From Dallas/Fort Worth take I-35 South towards Hillsboro. Take the first exit to the town of Hillsboro and then turn right onto Hwy.22 towards Whitney. 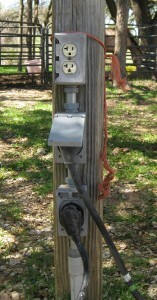 Cross the Whitney Dam and at the flashing light turn left onto FM 56 towards Valley Mills. 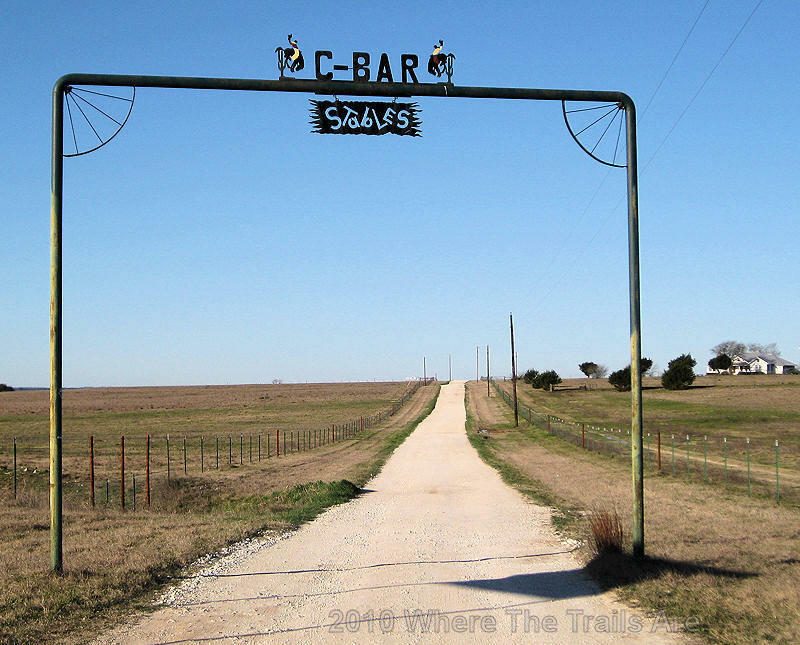 Go about 13 miles and turn right onto CR 3350. Coming from the south, take I-35 to Waco, Texas then take Highway 6 North approximately 30 miles to Valley Mills. Once in Valley Mills, go through the only blinking light in town. Turn right on FM 56 going to Whitney Dam. There is a green sign just before the intersection of Hwy 6 and FM 56 that says “Whitney Dam.” Once on FM 56, turn on Bismarck – CR 3350. 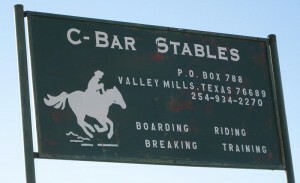 Then turn left on PR 3348 at C-Bar Ranch sign. Drive to the cattle guard for registration and Negative Coggins check in. Overnight Camping: Allowed – There are two horse pens and you can also high tie your horses as well. Cabin rental: The cabin will sleep 8 and cost $65 for the first two persons and $15 for additional persons. It has a kitchen and a bath. C Bar Ranch, privately owned by Larry and Martha Montgomery, is a thousand acre ranch in the beautiful Texas Hill Country of Bosque County. 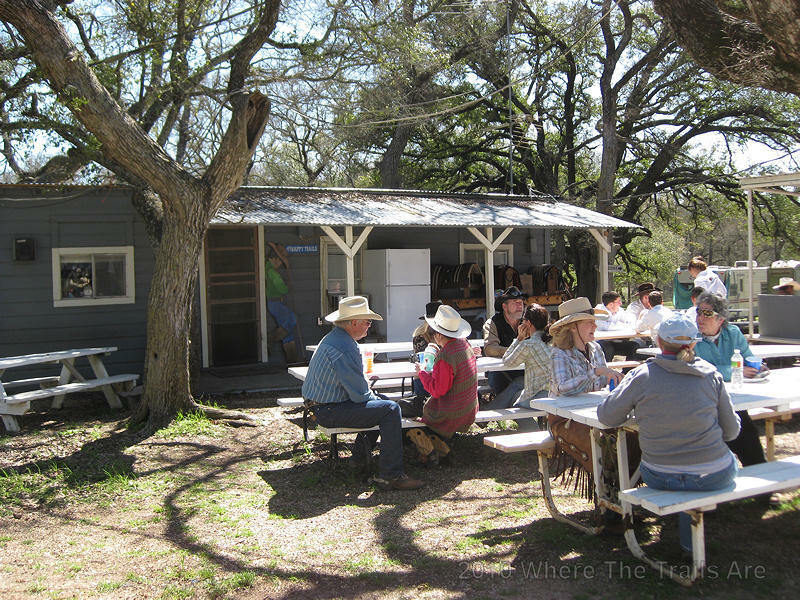 The ranch is not far from Waco and Hillsboro. 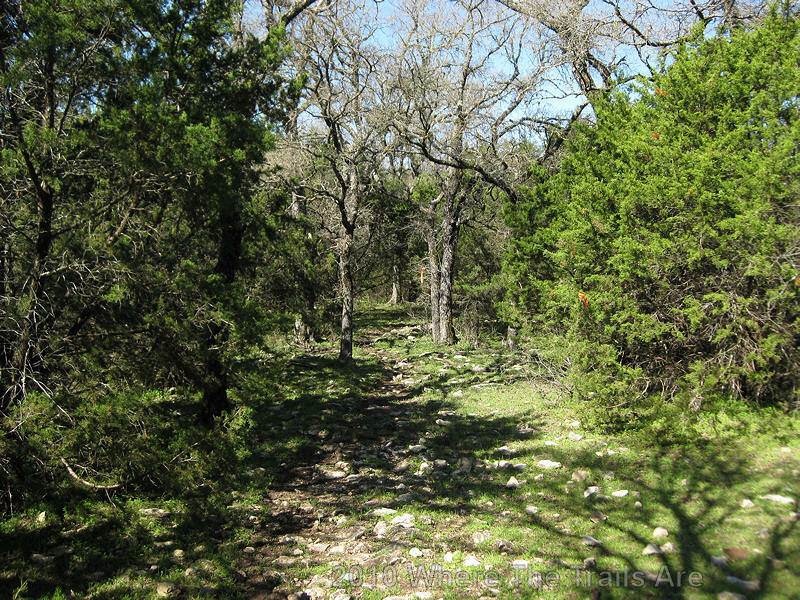 There are approximately 20 miles of trail to explore. The trails range from basic level ground to more challenging gullies and steep rocky inclines. 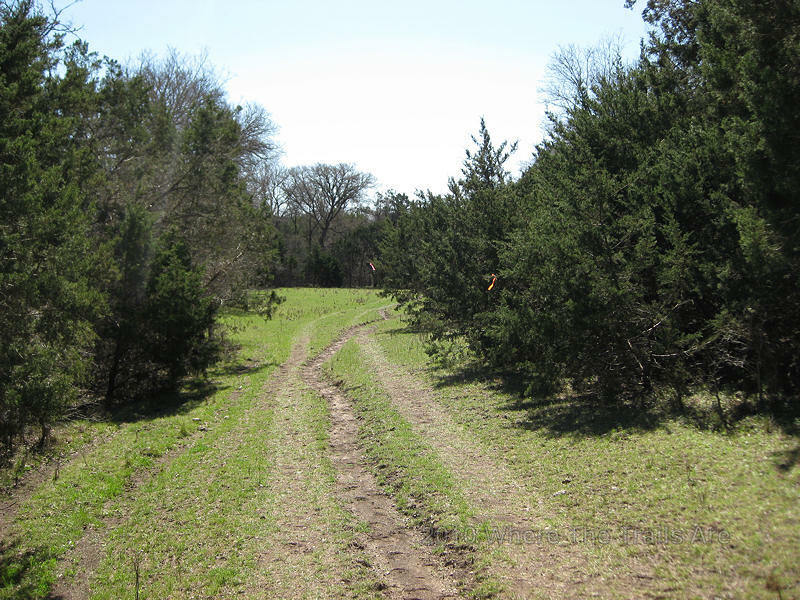 There are several wooded trails and other trails which provide more of an open view. 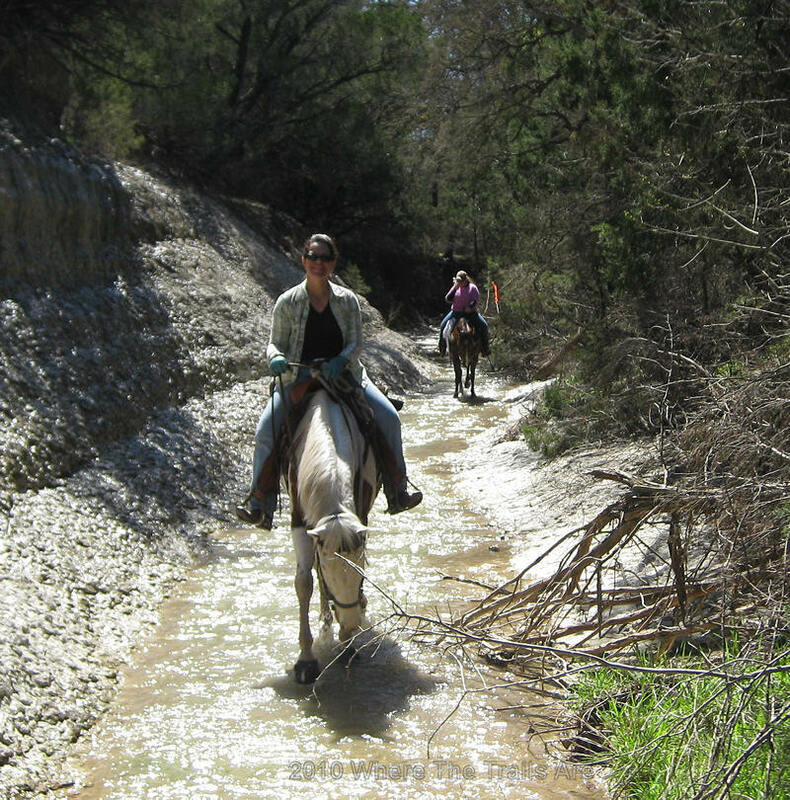 This ranch is full of creeks to water your horse and ride through or along. 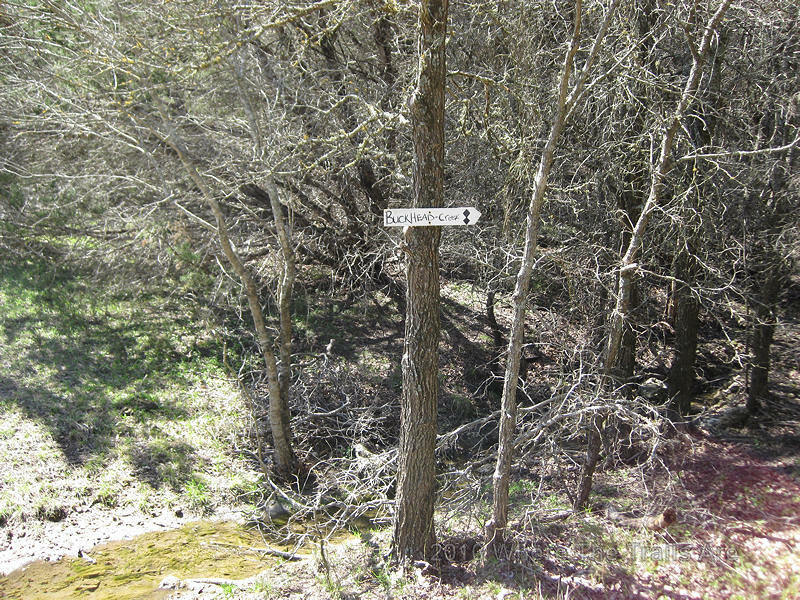 The trails are marked at the intersections with white signs. 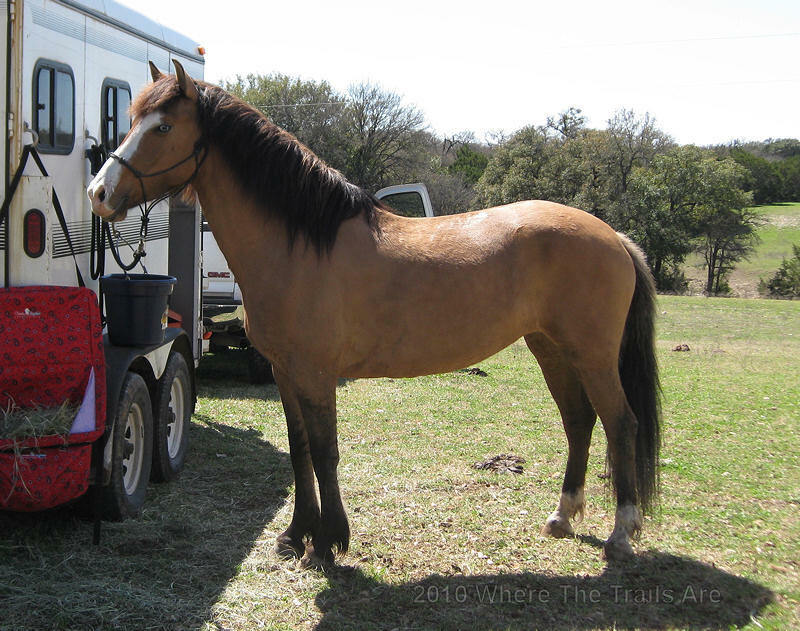 I most recently visited the ranch during an ACTHA (American Competitive Trail Horse Association) competition in early March. Plenty of room is available for parking large trailers and the meeting area provided seating and shade for everyone. 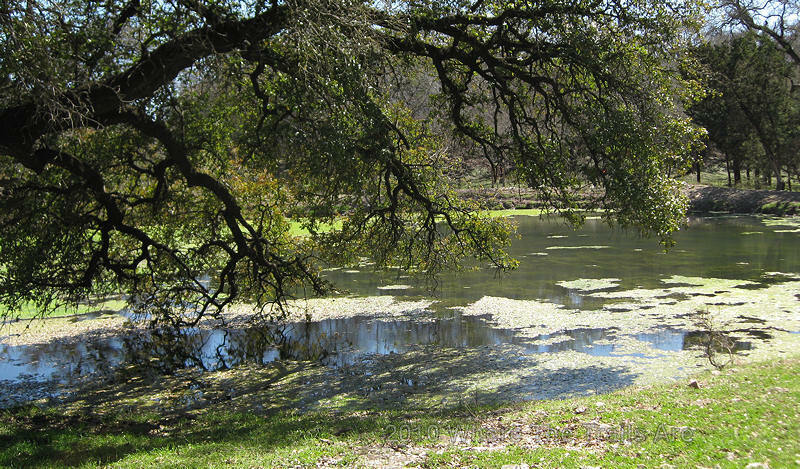 Beautiful large Oaks are scattered through out the ranch and camp area. Running water is available at the camp site. The ride was enjoyable and challenging in some areas. 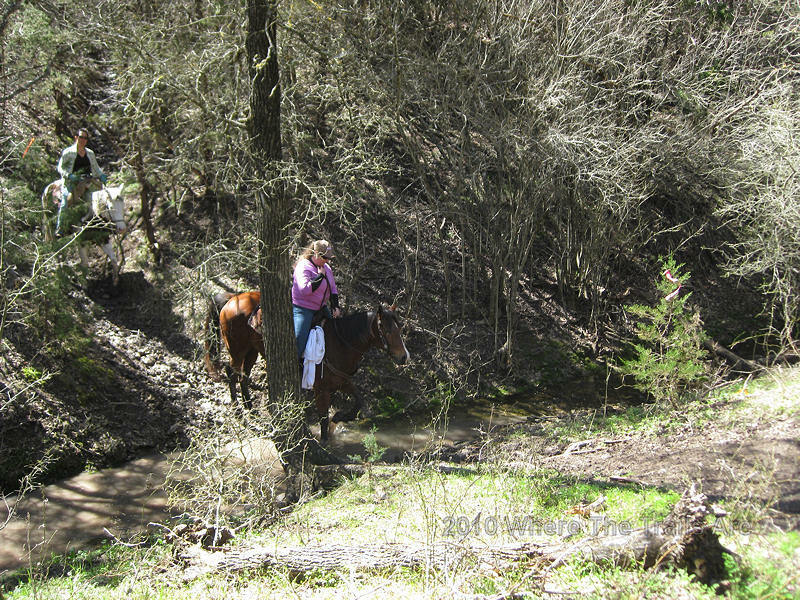 These trails provide opportunities to work with your horse on going down and up rocky inclines and crossing creeks. 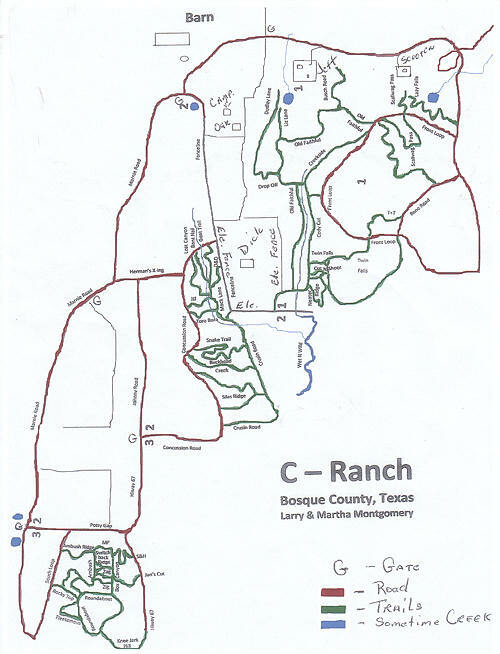 This is a fun location to participate in an organized ride, enjoy the trails on your own, or with a few friends. When returning to my trailer after the ride I found two black cows happily comping away from Angel’s hay bag. I got a laugh out of this, however Angel flatted her ears back at them as she did not find it very entertaining. As always be sure to call before you haul and bring proof of a current coggins.